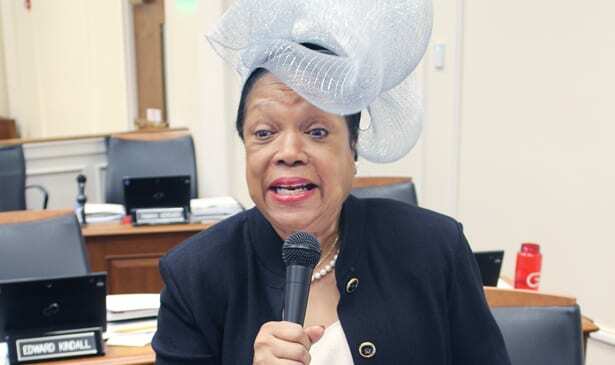 HENDERSONVILLE, TN — Dr. Lois Jordan, the first black woman elected to Nashville’s City Council, has a few observations about politics. First elected in 1971, Jordan speaks now as a political strategist; a political tactician since that race for the District 17 seat she won by campaigning door to door. Her district was divided by railroad tracks, literally and symbolically for a divided culture. To get white votes, she drove her convertible, top down, through those neighborhoods. Then, she walked her dog, Banner, named after Nashville’s now-defunct conservative newspaper, to attract attention before campaigning door to door. A man on his front porch next to a spittoon, which he used as she sought his vote, told her, “‘I don’t vote for N-words.’” Jordan quotes him with the epithet. She replied, “Well, we have something in common… I don’t either,” and asked him to define the epithet. He couldn’t. It broke the ice. They talked and she gave him a title, team leader for her campaign. Still wearing pearls, Jordan helps “worthy candidates,” including the Rev. Howard Jones for state Senate “because he’s an educator and knows what children need,” and what he says from the pulpit on Sunday is consistent with what he does the rest of the week. “He will not be a … career politician … He wants to use his skills to serve his constituents. He was brought-up in federal housing. He knows what it’s like to be without and to live around people in need. He’s a perfect example for today’s youth to show if you really want to make something of yourself, you can.” He’s young enough for young people to identify with him. Mayor David Briley is who she wants leading City Hall now because the next budget needs someone familiar with the system. Election Day, voters can trash her prediction for a runoff between Briley and Dr. Carole Swain, a candidate for change. August 2019 is a better time for her. If Swain runs next year, Jordan would support her. Jordan spoke at her home in Hendersonville.